Which Cam tensioner is best? Anyone who has done a cam swap on the L77 or other LSx engine want to explain which type of cam tensioner they chose to use and why? Im refering to the fact that the stock L77/LS3 is a odd spring loaded design which many seem to find broken or just do not trust vs. the older LS2 style which has no moving parts. I'm collecting parts for my cam swap and have a low miles stock motor, I'm not changing out the actual chain or gears on mine but am concerned that I'm leaving a potential failure point if i don't change it out. Re: Which Cam tensioner is best? The LS3 tensioner tried to solve a problem the didn't really have a detrimental impact, that's chain whip. The constant tension would keep the chain controlled. 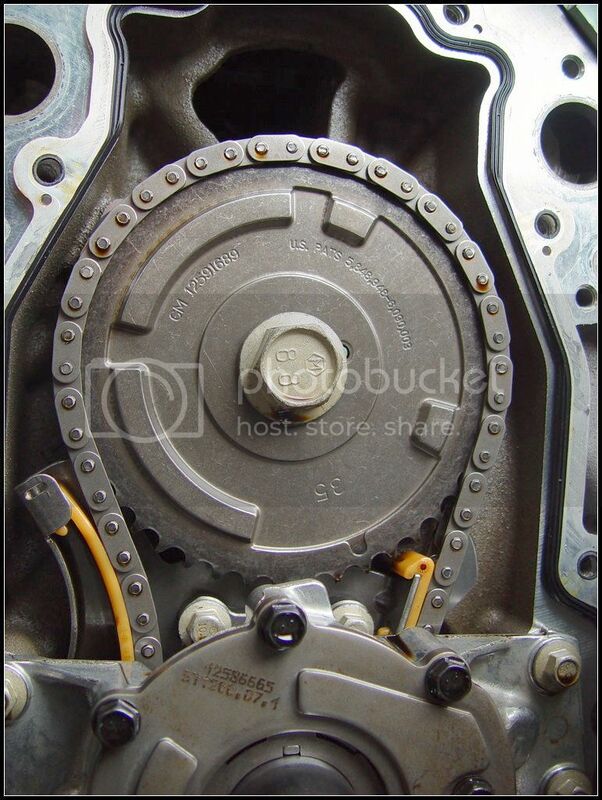 The issue is that during dynamic situations or as the tensioner wears, the chain will tend to whip again and can easily take out the tensioner. The LS2 solution just let the chain do its thing but is able to take the beating so they tend not to fail. People have argued using either and both will do the job in a street car. However when I do the cam change in a few weeks I'll be using the LS2 damper. That's the way I see things. Rise thou dead thread.....Just thought I'd chime in since I swapped my cam yesterday and maybe anyone who comes across this thread in the future will benefit. First off, while it may be possible to change the cam chain tensioner without pulling the oil pump, it would be very difficult. I did not see a way to do it without pulling the pump. The tensioner bolts would not come out far enough to give any hope of getting it off even with the oil pump loosened. My solution was to; Lower the oil pan, get that very annoying little bolt out that holds the pickup tube to the oil pump, very painstakingly remove the oil pump (I ended up pulling the front cover, taking the pump gears out, and that allowed enough room to get it off of the crank), and then change the tensioner over to the LS2 style. At that point I swung the ac condenser up and out of the way to swap the cam, but that is beside the point. Hope that helps.